Rochas Okorocha joins Senate race – Royal Times of Nigeria. 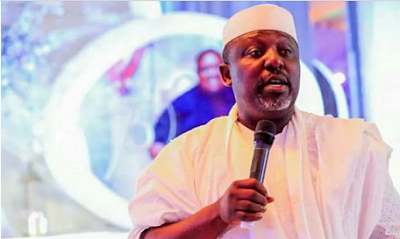 Imo State Governor, Rochas Okorocha, has finally joined the list of governors who have declared their interests in running for elective positions in the forthcoming 2019 general elections, the Sun newspaper reports. Mr. Okorocha had earlier declared that he would neither run for Senate or for President in 2019. The governor, while speaking at an event on Monday, said he had decided to run for Imo West Senatorial District in 2019 general election. Mr. Okorocha said it would be a disservice to the nation if he failed to contest considering his wealth of experience as a governor for eight years.